The 900x1200mm shower base by manufactures Louve` is designed to make your shower installation effortless and hassle-free. This innovative shower base is made out of SMC – a high compression moulded thermo set resin. This makes it lightweight (20kg) and very durable. 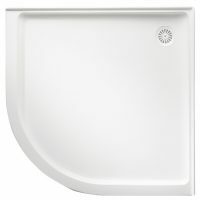 Moreover, at only 40mm thick, this shower base features a stylish low profile design. this will enhance the overall look of your shower. The shower based features a 9mm four sided flange and is completely self-supported. It also includes a waste covering the rear outlet in the form of a dome cover. This innovative shower base is ideal for mid and small sized bathrooms and has been built to last. In order to demonstrate this, Louve` offers a 10-year warranty on this product. 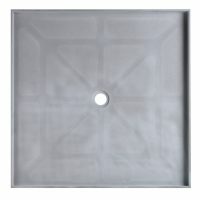 This shower base is also available in 900x900mm. 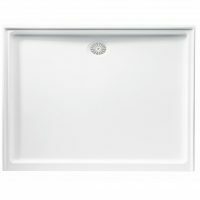 The 900x1200mm shower base is available at Ross’s Discount Home Centre for a great price. This product is in stock and ready to be shipped. Plus, buy this product online and take advantage of free delivery to Perth Metro areas. 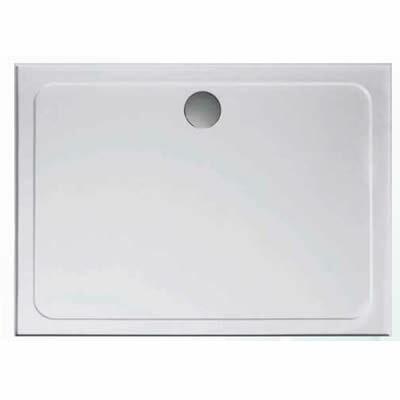 Make your shower installation hassle-free with the 900x1200mm shower base. You won’t regret it.